The “Jade” bedroom overlooks the side gardens and is on the ground-floor. 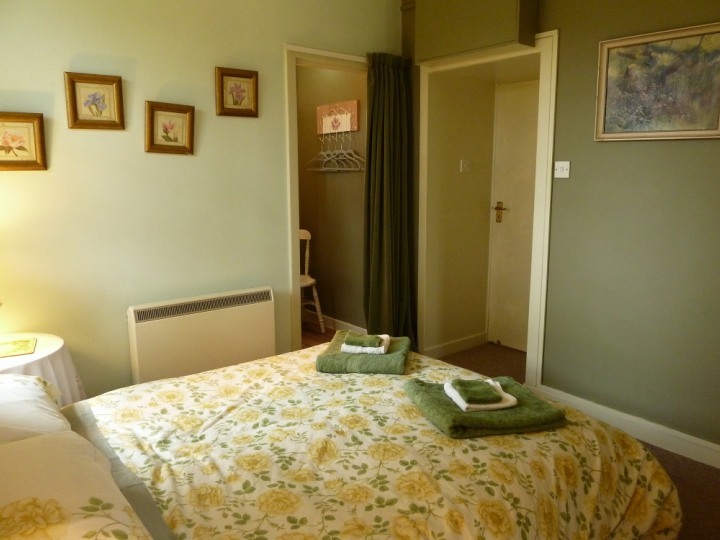 Although this is a downstairs en-suite bedroom, it is NOT suitable for wheelchairs. 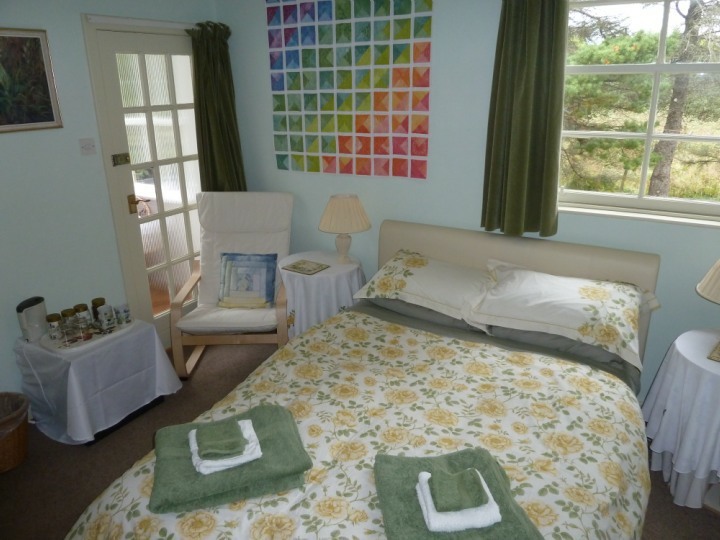 The bed is a standard double bed with a king size quilt and a blanket. 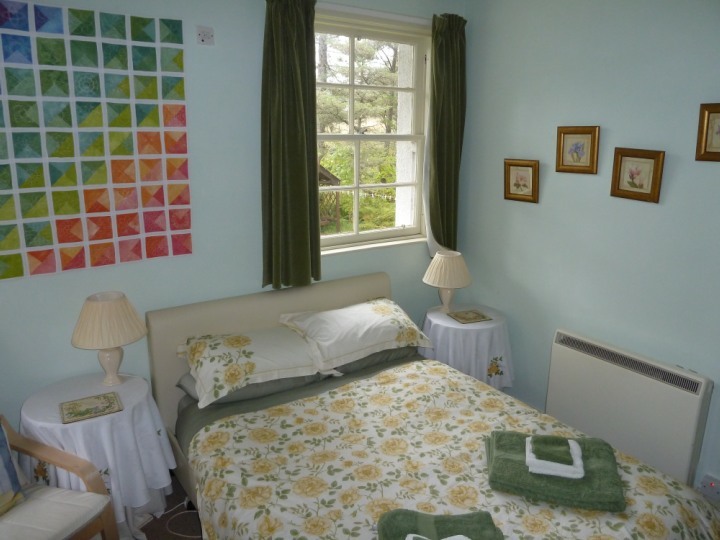 The room has its own external entrance in addition to an internal door directly off the breakfast room and has tea and coffee making facilities and hair dryer. Free Fiber WiFi within room, quick enough to stream to your own devices. Heating is by automatic electric heater. This room benefits from an en-suite with a shower-over-bath. There are a range of toiletries (Hand wash, Shower gel, Shampoo and Conditioner). Bath towels are provided.